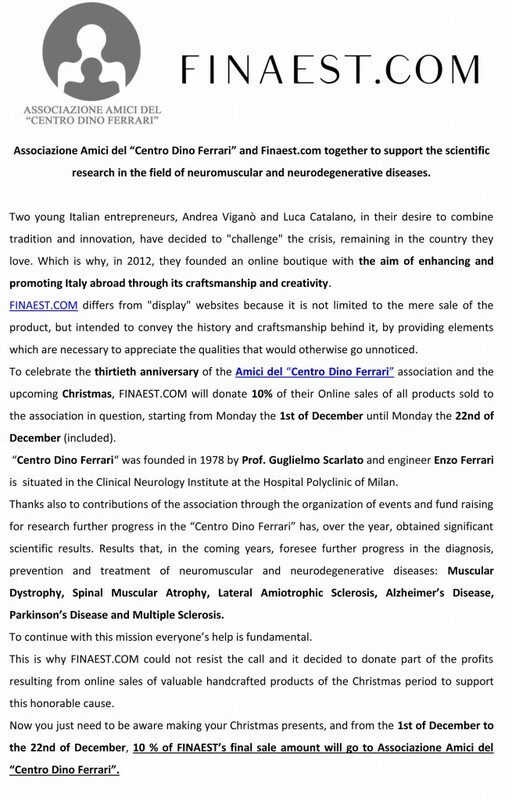 Associazione Amici del "Centro Dino Ferrari"
Finaest.com in support of scientific research in the field of neuromuscular and neurodegenerative diseases. 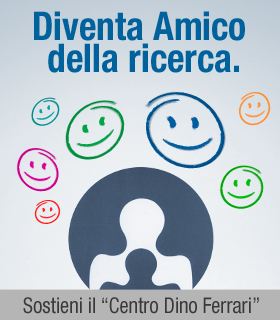 Condividi il nostro impegno per la ricerca! Nuovi lavori nell'area di ricerca dell'Atrofia Multisistemica. Protagonisti il dott. Alessio Di Fonzo e il ricercatore dott. Compagnoni. Obiettivo dei lavoro la comprensione delle cause della malattia, ancora ampiamente sconosciute, con focus sulle funzionalità mitocondriale e autofagica. Donations made to the Association of Friends of “Centro Dino Ferrari” have the advantage of a tax allowance for those making the donation . The Association has been registered in the statutory list of organizations whose scope is to carry out and support scientific research, detailed in D.P.C.M. 15 April 2011.For individuals, companies and organizations subject to IRES, the donation made in the form of money or services is deductible from income to a limit of 10% of the entire income declared and to a maximum of € 70, 000 annually (art. 14, comma 1, Decree 14 March 2005, no. 35, made law in 14 May 2005, no. 80)Companies and organizations subject to IRES, in alternative, can avail of deduction for the contribution or cash donation for financing research under, art. 1, comma 53, of the law 23 December 2005, no. 266.According to l’Agenzia delle Entrate, Italian Inland Revenue. ( circular no. 39/E of 19 August 2005 and resolution no. 96/E of 14 March 2008), the above tax allowance requires that the donation be made through the following: bank, post office, debit card, credit or prepaid card, bank drafts. Deducting is therefore not allowed for cash contributions. To request your donation receipt send an email to amministrazione@centrodinoferrari.com including the details of the amount and the name ( including your tax code). Ti racconteremo il lavoro dei nostri team di ricerca e le loro ultime scoperte!